A few weekends back, we visited my hubby's co-worker at his home in beautiful Waleska, Georgia. Like most children, M has a tendency to be challenging at times- especially when we are somewhere new. For the first hour, I spent my time running after M. In the house, out of the house, in the front yard, out the gate, by the pool, by the fountain, back in the house, out the front door... over and over for an hour. I was only trying to keep her safe, as she has a tendency to wander off and we were essentially on the side of a mountain. I grabbed my camera so I could take pictures of her exploring the property. When I looked back at the pictures, I realized how happy she was just wandering. 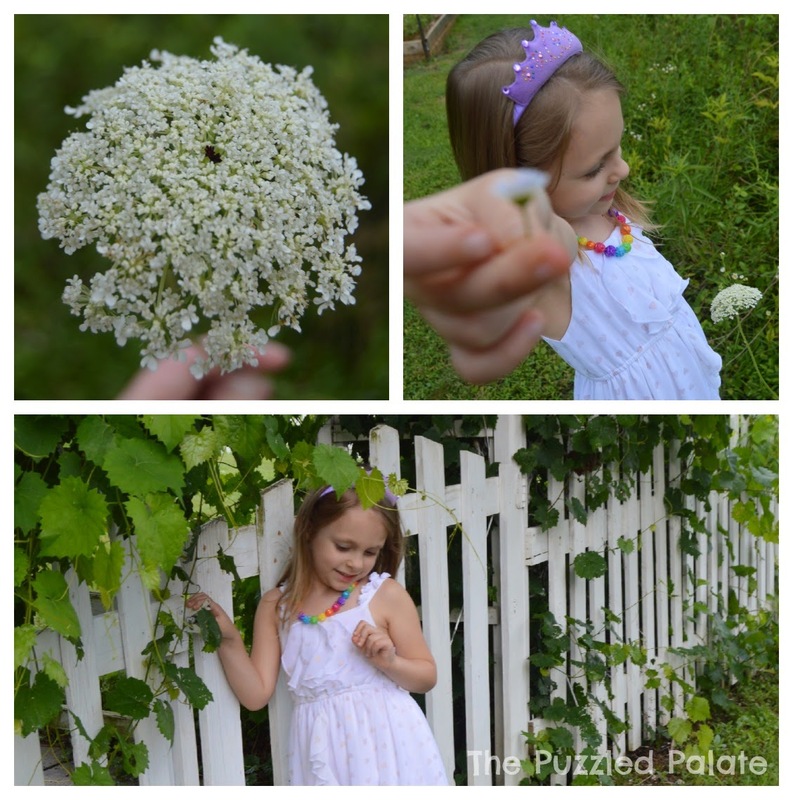 She was in her truly in her element- outdoors and picking flowers! I wish I had taken a moment to step back and find joy in the journey she was taking me on. Recently, I was introduced to a company that offers products that allow you to customize beautiful jewelry that tells your story! Origami Owl's Independent Designer, Shari, sent M a beautiful chain and tag style charm that really resounds with what we are going through right now. I am so in love with the simple phrase, "find joy in the journey." I wanted to know what other beautiful creations Origami Owl had, so I explored Shari's website and I just have to tell you, I am kind of obsessed now! Origami Owl has created a line of lockets that you can place adorable little charms in. The lockets themselves are beautiful. However, it is truly the charms that you choose that make the pieces unique. When I was browsing through the charm selection, I swear I could have come up with enough charms for 10 lockets full! One of the things that I like most about Origami Owl, is that they have a selection of charms that will let you share the causes that are close to your heart. Origami Owl is set up perfectly for fundraisers, too! If you are interested in raising funds for your favorite cause or just getting some of your girlfriends together for a jewelry bar, please contact Shari! She is a great lady and will be more than willing to help you set up an event or design a locket that shares how you are finding the joy in your journey! The options for customization are endless! Take a peek and tell me what charms would tell your story! Origami Owl products are really popular around here. I love how people can make them individualistic and unique. We bought my mom one for Christmas last year, and she loves it! So glad to hear you are already familiar with Origami Owl Susanna :-) Please let me know if i can help you in the future! I am going to have to head over there and do a little exploring. It sounds like she has the types of things I like - and I always accessorize with jewelry. Cute jewelry like she has at Origami Owl! Not all who wander are lost! I always loved that saying. M looks at home near that fence and vines! I have seen these everywhere! I love it. That quote is precious! Good to know that Origami Owl is out there :-) I love it too! I love that message. Origami Owl seems to be such a big hit! It is definitely a hit Lori :-) Please let me know if I can help you design a locket or select a tag! I love these Lockets i see what everyone means that kept saying the one i have looked like these ones.I love that necklace and the quote is cute. I love the custom charms that Origami Owl provides. It's such a sweet idea. Very nice pictures you posted. Thanks for sharing. I'm glad to hear you are familiar with Origami Owl Krystal :-) Please let me know if I can help you design a locket! I love origami owl necklaces! I've wanted one for awhile! I'm glad to hear you love origami owl! I'd love to help you design one! Beautiful photos! I have heard of Origami Owl before, but haven't ever purchased anything. Their lockets are gorgeous. Having charms to share causes that are important to you is such a great idea. They're cute too. I love origami owl- I have a locket, and it's such a great conversation starter! I love that phrase. What a gorgeous necklace! What a great inspirational quote. I love it as a necklace. Too cute! The "Living Lockets", I have to check those out more! Thanks for sharing as these will make a great gift or give away! Hope they have something beauty related! I am actually hosting a giveaway for them next week! Keep an eye out! I saw these for the first time last year at a craft show. I remember thinking that I wished my daughter was still young enough to be into them. I love my necklace. Wonderful memories. I love origami owl trinkets! Your daughter's photos remind me of the blissfulness of childhood. You can see it in her face. I love everything at Oragami Owl. I especially love that necklace! Please let me know if I can help u shop! I love origami owl, and the whole concept! I'm glad you had your camera handy to record her journey. You're sooo right. As adults, we tend to forget to live the moment somethings. I agree Brett! & am glad to hear you are a fan of origami owl! I totally agree; it's a good reminder! They do have lovely pieces. The necklace is so pretty. I do love the saying too! Your daughter is pretty in her dress and picking flowers. 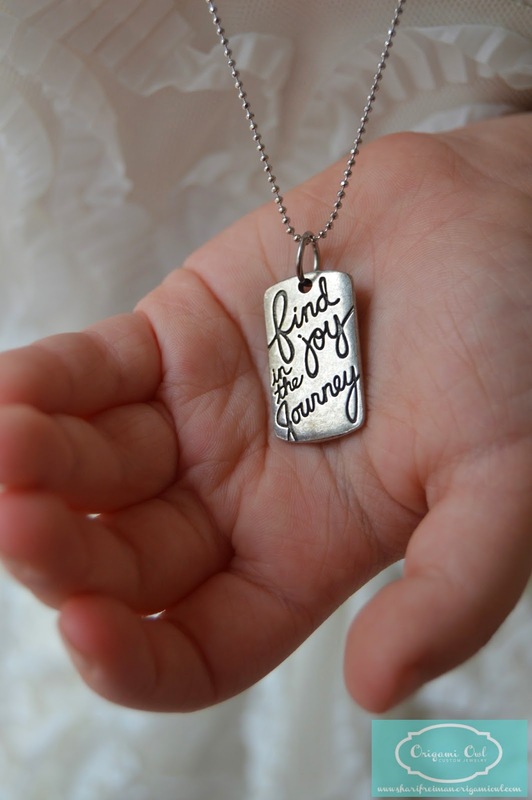 I like the necklace and it's right the journey is full of joy if we just look for it. I'd love to help you with a necklace. Feel free to contact me anytime. My tween is obsessed with this stuff. It's very popular here in Central Florida. This necklace is perfect for her. Feel free to contact me for more info! I have never heard of Origami Owl! It looks and sounds awesome! I will have to introduce my nieces to this I bet they would LOVE it! I love Origami Owl, the little charms are so cute. They make really great gifts too. This is just beautiful! I love how you captured your daughter wearing it too! I love this! That necklace is beautiful. 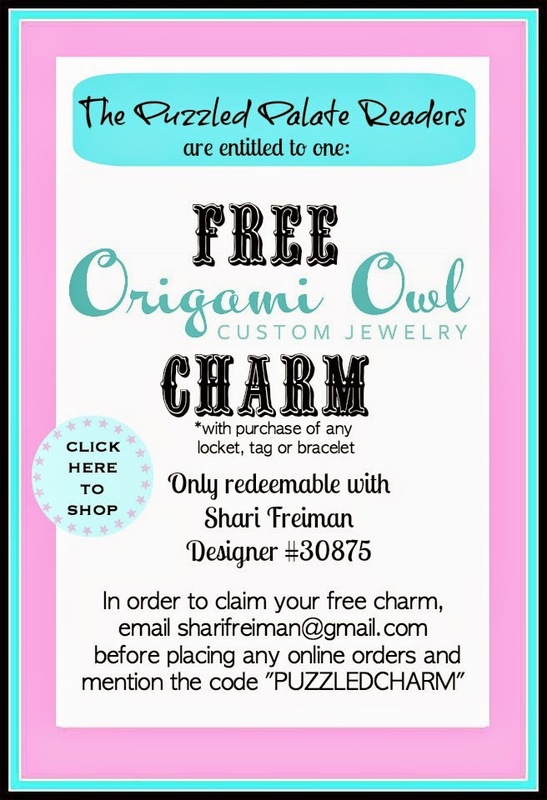 I've heard such great things about oragami owl! That is such a cute necklace! I love their lockets as well. I love that message and what a beautiful piece of jewelry. A lot of my friends love origami owl, I just haven't checked them out yet. Beautiful necklace! Personalized jewelry is awesome. This would make a great gift. Thanks Tracey! Yes; it makes great gifts! I love that these are personalized with the things you love. They're super cute and it would be fun to pick things out! I've seen these necklaces on a few of my friends and they are so beautiful! Love that they are personalized! I love these pictures. So pretty. And that quote is so true. You have to find the joy in each moment along the journey. I love Origami Owl. This is a beautiful piece they created! I recently fell in love with Origami Owl and shared it with my daughter. She asked for everything. It's all so special. I am starting to think I am the only person on the planet who doesn't have something from Origami Owl. I need to do something about that! This is beautiful ! I'd love to have this piece. That is such a pretty piece for a young lady. She is adorable. This could be something for my niece too. That is gorgeous and so is your daughter! I would like that pendant myself! Origami Owl sure has some cute stuff and these photos are just beautiful. I've been to a party before, but I didn't order anything! Love that pendant!